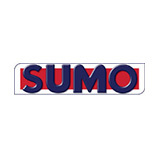 SUMO UK Ltd are a UK company specialising in the design and manufacturer of innovative cultivation equipment for the farming industry around the world. British designed and British built, all machines start life at our Melbourne Factory in East Yorkshire. This gives us complete control of all we do. We also have a dedicated Sumo Genuine Parts Team on hand both at the office and out on the road visiting several shows and events. We believe when a customer purchases a machine they do so because of the build quality and design. Attention to detail and quality is replicated in our spare parts and is something we encourage customers to take advantage of.